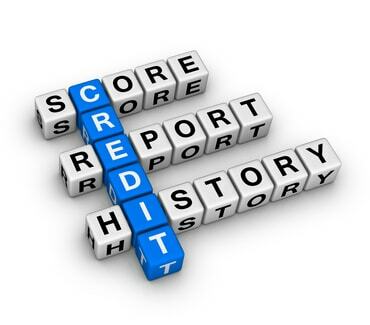 Do you have a low credit score due to incorrect information on your credit report? One of the main reasons you want to monitor your credit report is that you would be surprised by how much wrong information appears on your credit report. And many people have no idea what is showing up on their credit report,so they have no idea why they are having so much trouble obtaining credit. Monitoring your credit report not only will help you to catch errors quickly, but will help guard you against identity fraud! Your credit report contains all your personal information including details about your debts and finances. Needless to say, a single error or even the littlest bit of misinformation in your report can cause problems in your dealings with creditors, insurers, employers and landlords. Obtain a copy of your credit report at least twice a year. Doing so will enable you to do the appropriate action immediately in case unauthorized charges or incorrect charges were found to be in your report. To avoid getting rejected, you should always check on your credit report first before applying for a loan, a credit card or insurance. Claim your free credit report once each year. All consumers are entitled to get a copy of their credit report for free from the three major credit reporting agencies – Equifax, Experian, and TransUnion. Individuals who are unemployed and are planning to look for a job within 60 days. Those who have denied on their credit application can also request for a free copy of their credit report. If you suspect to have been a victim of fraud or identity theft, you also have the right to claim a copy of your credit report without charge. Many people with bad credit or no credit feel that they don’t need credit monitoring. They’re thought process is “hey” I’ve got bad credit , or no credit, who will want to steal my identity”. Well lots of people. They can use your social security to not just obtain bad credit loans or credit cards in your name, but they can get jobs, insurance, take out student loans…the list goes on and on! You want to stay ahead of these people by having a credit monitoring service monitoring your credit report. Unfortunately, once you are a victim of identity fraud you are in for a rather “hellish” time proving that you are not the one that opened these accounts. In this digital age, it just makes sense to monitor your credit report and create alerts whenever anything changes.